Practical measuring calipers that can be reset in any position. 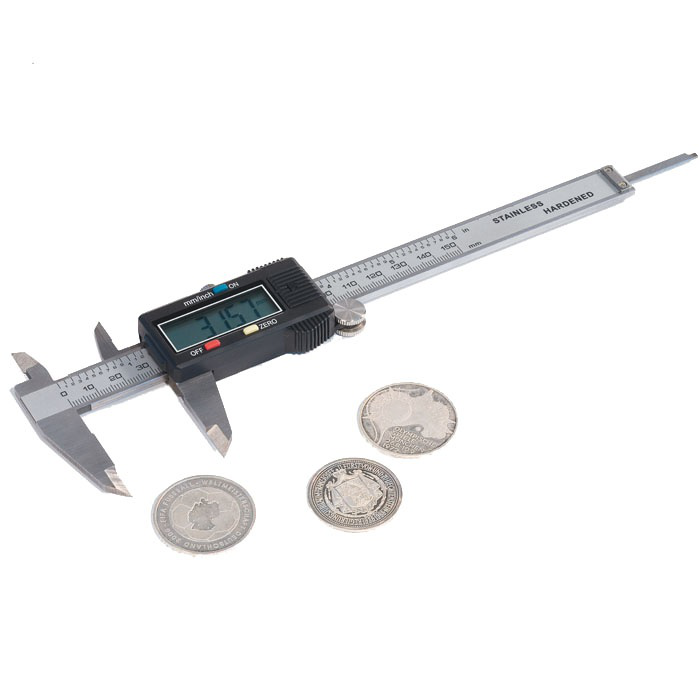 These digital callipers with LCD display have a measuring range of 0 to 150 mm (6"). They can be zeroed at any time in any measuring position, allowing comparative measurements to be made. With depth gauge to measure inside diameters and grades. Can be switched from metric to imperial. Made from carbon fibre composite material, making them lightweight and gentle on the objects you are measuring. Measuring units: 0.1 mm accuracy: 0.2 mm.